NLC Solutions is a first-rated commercial cleaning service provider in New Jersey. We serve a great array of locations, Middlesex County included. Whether you require personalized cleaning programs for your restaurant or medical facility, we have got your back. We have been in the business for more than 30 years. Our company is bonded and insured so you can enjoy peace of mind when you hire our commercial cleaning services. Bearing the nickname, The Greatest County in the Land, Middlesex County was founded in 1683 and is a county located in central New Jersey. With a population of over 809,000, Middlesex County is the second-most populous county in NJ. Its neighboring counties include Richmond County, Somerset County, Union County, Mercer County, and Monmouth County. Middlesex County is also home to an array of hospitals, such as the University Medical Center of Princeton at Plainsboro, Robert Wood Johnson University Hospital, JFK Medical Center, and more. Floor Care in Middlesex County, NJ:Do you need to have your carpets cleaned or your floors waxed? NLC Solutions has the best floor care solutions for our commercial clients. Industrial Cleaning Services in Middlesex County, NJ:Let us deal with the hassle of cleaning the windows of your commercial property or locker room cleaning and more! Green Cleaning Services in Middlesex County, NJ:NLC Solutions only utilizes eco-friendly cleaning materials. You can go green in a cost-efficient way when you choose us! Cleaning Supplies in Middlesex County, NJ:We can restock cleaning supplies for medical facilities, churches, schools, manufacturing plants, and more. We deliver them right to your doorstep! Schedule a hassle-free cleaning assessment with NLC Solutions today. 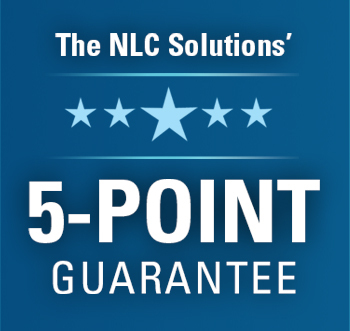 You can call us at (908) 753-3900 or email us at info@nlcsolutions.com for more information.